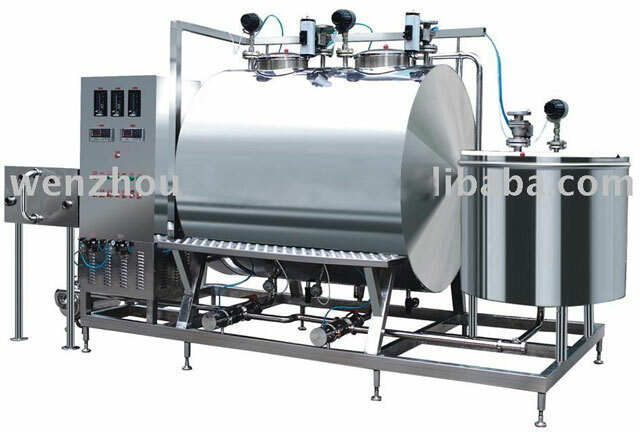 Full name of CIP system is cleaning in place system, it is a system, in which, producing equipments(tanks, pipes and valves ect) and whole production line is cleaned and disinfected circularly in a closed loop without being dismantled or open. It is applied for cleaning of equipments and pipes industries of dairy, beverages alcohol, Agricultural and sideline products. 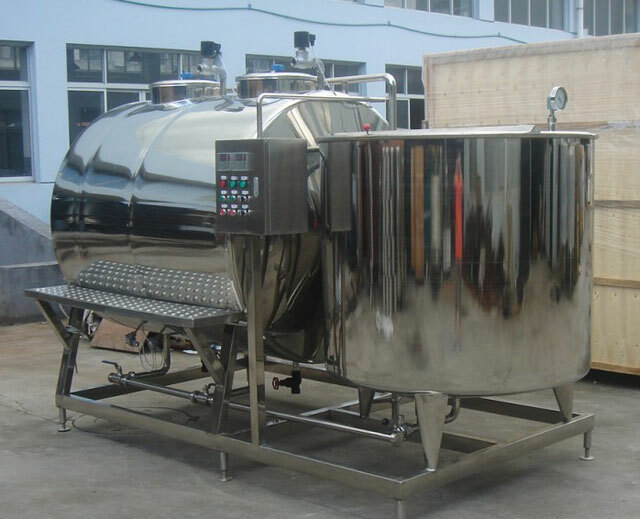 CIP cleaning system is composed of acid tank, alkali tank, hot-water tank, pure-water tank, back-water tank, thick-acid tank, thick-alkali tank, heat exchanger, pumps peripheral valves and pipes. These tanks can be allocated according to technical requirements. Generally, the CIP system only comprising acid tanks, alkali tanks and hot-water tanks is sufficient for requirement of cleaning.